Much has happened in the world of cryptocurrency since HMRC published its guidance on Bitcoin in 2014. Since this guidance was published, Bitcoin is not the only cab on the rank. Instead, there has been a proliferation of new types of cryptocurrencies; phenomenal increases (and decreases!) in the value of crypto; and the growing alignment of crypto to mainstream financial markets and institutions. While these developments continue to progress at pace, any concerns the UK Government has over the use of crypto for money laundering, criminal activity and tax evasion have yet to translate into either specific regulation or a specific tax framework. For the time being then, for the purposes of tax on crypto, we labour under the myriad of current provisions, comprising the original HMRC guidance document, ‘pre-crypto’ legislation and an emerging body of case law. It’s important to bear in mind that we do not have any specific tax rules for Bitcoin. Like other capital assets, it is largely the way in which something is done that is important rather than the underlying asset. As such, we find ourselves applying a legislative framework that does not readily lend itself to crypto and analogous case law relating to hobbies, trading and investment. In fairness, HMRC were relatively quick off the mark in setting out their views in their 2014 briefing document. Fundamentally, the stated position in the guidance for crypto taxation is that it is not the specific type of asset that determines the liability to taxation, it is what is done with those assets that will dictate the tax treatment. However, beyond this, the limitations of this document have become more acute as time passes and crypto grows in value, reach and influence. A relatively short document (certainly by HMRC standards), the guidance dealt only with Bitcoin, published at a time when there were few coins standing and Initial Coin Offerings (ICOs) were unheard of. From a filing position, this means care should be taken where smaller cryptos are concerned as HMRC might claim the 2014 guidance does not apply beyond the more ‘mainstream’ Bitcoin and Ethereum. It is true to say that each case in this emerging area of taxation will turn on its own facts. However, a consideration and understanding of the existing position and previous analogous case law is extremely helpful when considering the way forward with crypto activities. 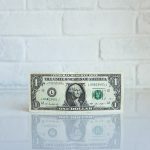 Crypto – currency or asset? HMRC’s guidance specifies that any gains or losses will be treated as a gain or loss on foreign exchange. As well as the conversion of cryptocurrency in to fiat currency – such as Bitcoin in to GBP – also relevant will be any gain or loss on the conversion of one type of cryptocurrency in to another one, such as Bitcoin into Ethereum, and potentially the investment of currency in to other assets or services on an ICO. One important point to note here is that this position is may not extend to smaller cryptocurrencies and any assets that are received on an ICO. This is a point requiring particular caution however, since HMRC may have a different interpretation in what remains an undeveloped area of tax law. Any filing of one’s tax returns should reflect this. Where the profits – and whether the losses are allowable – of such an activity are taxable will depend on how they are organised and the manner in which they are conducted. This means that to determine your liability to Capital Gains tax, Income tax or Corporation tax requires an assessment of your crypto activity, applied to the current HMRC guidance, case law and relevant legislation. HMRC’s guidance is clear in that it envisages transactions that will not attract tax as they are so speculative in nature. Case law also supports the position that financial transactions can be so speculative they are akin to gambling. Again, where one is ‘going in to bat’ on this basis consideration should be given to evidence of how one arrived at this position and appropriate disclosures. HMRC state there are transactions which are (or were) so speculative that they are not taxable. That is not to say however that all crypto transactions are deemed highly speculative and as such non-taxable. Investment is generally the default status where there is no justifiable filing position on a ‘speculative’ or ‘personal use’ basis, but the activities are not so organised as to be classed as a venture in the nature of trade. Under the investment status, the gains and losses of an individual would fall within the Capital Gains tax regime. As such, any gains will be subject to CGT at either 10% or 20% depending on the level of other income earned by the taxpayer in the year (or corporation tax if a company). The individual should generally benefit from the CGT Annual Exemption, at £11,300 for 2017/18. Where deemed an investment business, ie something more than an investment but less than a trade, certain business reliefs might be available. This would clearly warrant a detailed review of the underlying activities. It should also follow that if an individual is taxable on the gains resulting from certain activities then the losses should also be allowable; meaning a capital loss can be offset against a current year capital gain or carried forward indefinitely. There is clearly a concern here for HMRC to balance the pursuit of raising tax from the profits without committing to allowing large loss claims (a point which is even sharper in relation to an assertion that activities are trading in nature). The worst-case scenario from a taxation of profits point of view is that the activities might constitute a trade. For an individual, this means that any profits will be subject to income tax at the prevailing rate of 20%/45%/45%, in addition there are likely to be National Insurance Contribution implications. That said, there may also be benefits (or an attractive silver lining). One of these is the availability of trading losses for the offset against general income for the current and prior years, as these losses can be offset against higher tax rates and can be carried forward. To date, as one might imagine, there have been no specific cases on whether cryptocurrency activity constitutes a trade. The most analogous body of case law relates to whether dealing in shares is an investment or a trading activity, where HMRC have previously submitted that an ordinary trader in shares would have certain characteristics – the so-called ‘Badges of Trade’. The context of much of this case law is that a taxpayer has made losses on share dealing and wishes to argue that the activity was that of a trade as it would allow a claim for the losses against general income for that year and, potentially, against prior year income. Of course, this is something that HMRC will resist in the all but clear-cut cases of trading. The current position suggests there is a presumption that someone dealing in shares will not be conducting a trade. However, this presumption is rebuttable where it can be shown, by the taxpayer or HMRC depending on the issue, that the activities are approached in an organised and commercial manner. For instance, the existence of a clear business plan and strategy might be decisive. Our view is that the same considerations will apply to someone dealing cryptocurrencies. The presumption will be that the activities do not constitute a trade. However, be warned, this presumption can be rebutted. The distinction to be made is whether the mining is classed as a hobby or whether they are taxed as a trade. In circumstances where the approach to mining is clearly organised, commercial and engineered such that a profit motive is indisputable, the activities would constitute a trade. Any profits that arise to an unincorporated business (I.e. sole trader or partnership / LLP) would be subject to income tax. Where activities were run through a company then profits would be subject to corporation tax. This would allow for revenue expenses to be offset – energy, rent on premises and staff costs. It may also be possible to claim capital allowances on capital items such as computer equipment and other plant and machinery. If the mining is a hobby and the only reason for profit is the rise in the price of the underlying asset rather than the organisation of the activities then it should still be treated as a hobby for tax purposes, hence rendering it tax-free. There is case law on when a hobby might become a trade. It is very much in the same context as the ‘trading or not’ category in that it is usually a case of a taxpayer trying to claim a trading loss and HMRC, by in large, resisting those claims. This is not solid ground and open to HMRC interpretation. Disclosure within the tax return is recommended particularly where a tax-free position is asserted. Do you have a question about HMRC’s position on Bitcoin and cryptocurrency? Enterprise Tax Consultants can help! As a developing area of tax, particular caution is needed since HMRC reserves the right to different and alternative interpretation. As such, we would advise full disclosure of your reasoning for any filing position on crypto gains – including a tax-free position. As specialist chartered tax advisers, we have substantial experience advising individuals and companies holding and transacting in cryptocurrencies. 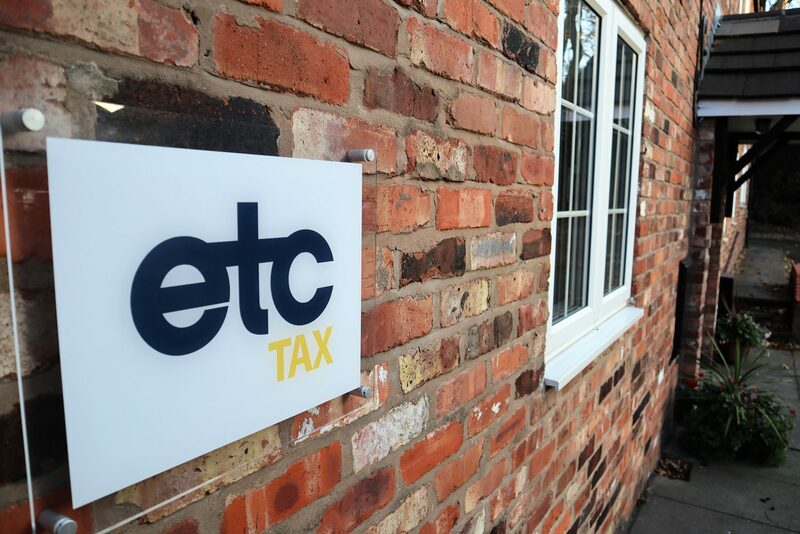 ETC can advise on the HMRC position of your crypto activity, where exemptions may apply and any resulting tax liability with consideration of residence status, domicile and other relevant financial activity under HMRC’s mandate. What is a Capital Reduction Demerger? If a hard fork occurs such as with Bitcoin Cash on 1st Aug 2017, then should it be classed as a purchase of the new coins for £0? To re-apportion a cost of the new coin to the old coin seems to me over-complicated as it retrospectively changes all the purchase prices of the original coin, thus invalidating all Capital Gains calculations to date, and potentially also invalidating already submitted Tax Returns. This would occur all over again every time a hard fork occurs, which may potentially be many times. Since the original coin is purchased as is, without any knowledge of a future hard fork, then it seems to me its purchase price should not ever be re-apportioned in this way. To argue someone may have knowledge of a future hard fork does not make sense as there is no guarantee a hard fork will actually occur until the last moment, eg Segwit2X was cancelled. An ‘Airdrop’ also I believe would be best treated as coins purchased for £0. Then our CG is just the whole selling price we obtain for the free coins we received. Further to your above article; I am just about to complete my 2017 / 18 tax return and have crypto costs from . . . I am a full time employee of one business (main employment) and a director of a small importing company (no profits yet); how best to offset the above crypto costs against tax? I was going to create a 3rd employment, but would need to register for class 2 NI however that’s not strictly correct anyway. The problem is I can’t see where I enter these costs on my tax return to claim relief, which seems unfair if I am going to be expected to pay tax on any future profits.